All with a passion for good movement and healthy bodies, our studio instructors are diploma trained to the highest standards in the industry, through the government accredited organisation, Polestar Pilates. They each have an inherent desire to see people moving and living better lives, and are committed to continuing their professional education and offering the best Pilates and movement experiences to each client. Rachael has been a ‘mover’ all of her life; dancing as a tiny tot, climbing, biking and running through childhood, and then competitive in the dance world into her teens. After school she went on to complete a BA (Hons) in Professional Dance, in Edinburgh. It was during her degree that she first experienced Pilates, and later she was referred to a Pilates studio by her physio for low back pain. She was blown away by how Pilates changed her movement, her dance technique and her body shape, even reshaping how she thought about movement altogether. Rachael left Scotland in 2009 to travel across Asia and Australia, and whilst waiting for her permanent residency she completed the Diploma of Professional Pilates Instruction with Polestar Pilates. Spending her first years of teaching working for studios in the the Inner West & delivering corporate mat classes across the city, rachael opened Room For Movement in 2015. Having fallen in love with Sydney, Pilates, and an Aussie bloke, she has her roots firmly set in the Inner West. She is fascinated by the human body, the magic of the mind and spirit, and how Pilates addresses each of these to create ‘whole body health’. She describes the way she teaches as “a practice of self discovery through movement”, guiding each of her clients towards their personal movement goals and taking pride in her ability to communicate in a respectful and non-judgemental way. She aims to challenge their ideas on what they can achieve from movement, and encourages mindfulness to increase a persons sense of self embodiment. Pamela had her first contact with Pilates in 2004 while studying for her Physiotherapy degree in Brazil. She attended several Pilates workshops and since has been very interested in the method and the ways in which it benefits rehabilitation.After being awarded her Bachelor’s Degree in 2007, Pamela completed a specialisation course in Orthopaedics and Traumatology and had the chance to build her experience with a variety of rehabilitation cases. Her passion for the human body had just started. In 2008, Pamela moved to Australia and completed her Diploma in Fitness and Remedial Massage going on to wor as a massage therapist, before beginning her instructor training in Pilates and completing her certification in 2010 through Polestar Education. Pamela’s combined experience and practice of Pilates, physiotherapy and massage complement each other and give her a thorough understanding of human body. This leads her to treat her clients holistically – in mind, body and spirit. She loves the way Pilates integrates movement and how it functionally improves body awareness, posture, flexibility and strength, to help people prevent injuries by having better control of their bodies. Pamela is committed to helping her clients achieve their goals, and aims to enhance their physical and mental balance in every session. Natalia had her first experience of Pilates in a workshop in Brazil, whilst studying her B.Sc. in Physiotherapy. She was impressed by the teacher’s ability to execute exercises so precisely, with unusual control and mobility. After graduation she travelled to Australia to study English and experience living overseas. In 2007 she completed her English studies and began her certification in Sports & Remedial Massage, after which she went onto work alongside a chiropractor, and high profile AFL and soccer players. After a few years working as a massage therapist, Natalia started having pain in her shoulders which prompted her to return to Pilates for rehabilitation. Reconnecting with Pilates inspired her to become an instructor, and she commenced training with Polestar Pilates. She was completely fulfilled studying Pilates: inspired by how effective the method is for the prevention of injuries, rehabilitation and wellness of the body and mind. Lilly has a professional background as an Allied Health Practitioner and began practising Pilates 15 years ago. Whilst initially, Pilates was a new way to exercise and relieve daily stress Lilly soon realised she had found new ways to move and connect with the exercises whilst building strength. 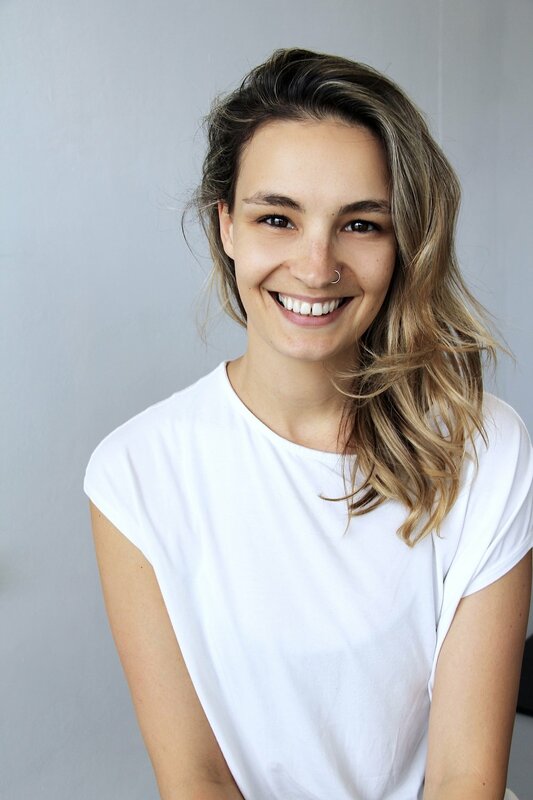 Her experience developing her own practice in a small studio environment, inspired Lilly to further her interest in Pilates by completing her Certificate IV in Mat instruction (Polestar) in 2016. Lilly has continued her study with Polestar completing her Studio Certification in 2019. One of the things Lilly enjoys about practicing and guiding others in their Pilates practice is the opportunity to help people discover not only the benefits that a regular Pilates practice can bring but to find new ways to challenge the body, refine technique and get that all important escape from a busy work and home life. Amanda’s journey into the world of Pilates began in 2009; having suffered knee pain for many years she decided to give Pilates a go, and found after only a few sessions that her knee pain was disappearing, and Pilates was also creating more strength in her body. Amanda has, since then, developed a passion for Pilates both on the mat and on the equipment, and attends regular sessions in both. She completed her Certificate IV in Mat instruction with Polestar Pilates in 2014, and went onto complete her Diploma of Professional Pilates mid-2017, qualifying her to teach Studio Pilates. She has worked in a variety of corporate and studio environments allowing her to further develop her understanding of human movement and how Pilates can help different bodies. Amanda’s sessions are tailored for the individual, on the day, always with a focus on creating mobility and space in the body so that clients walk away from their session feeling light and energised! Pilates was first introduced to Sarah at the age of 14 as a form of rehabilitation from major spinal surgery. It gave her the flexibility and stability she needed to return to life. After rehabilitating her body, Sarah continued to practice Pilates out of love for the movement and peace it brought her. An extended period of office work at age 21 resulted in Sarah experiencing a deterioration of her postural strength and quality of life, reigniting her passion for the practice. She experienced again how Pilates gave her body suppleness and ease of movement, reaffirming her love of Pilates and resulting in her training to become a Pilates Instructor. In 2016, Sarah completed her Certificate IV in Pilates with ‘Breathe’ and Certificate IV in Mat Pilates with Polestar Pilates, and went on in 2018 to complete her Diploma of Pilates in Studio and Rehabilitation with Polestar. Sarah taught Pilates in Melbourne for 2 years where, under the guidance of advanced instructors, she refined her practice. She loves to share the art of movement with others and, in doing so, help clients to understand their bodies and learn to move with ease both inside and outside the studio.